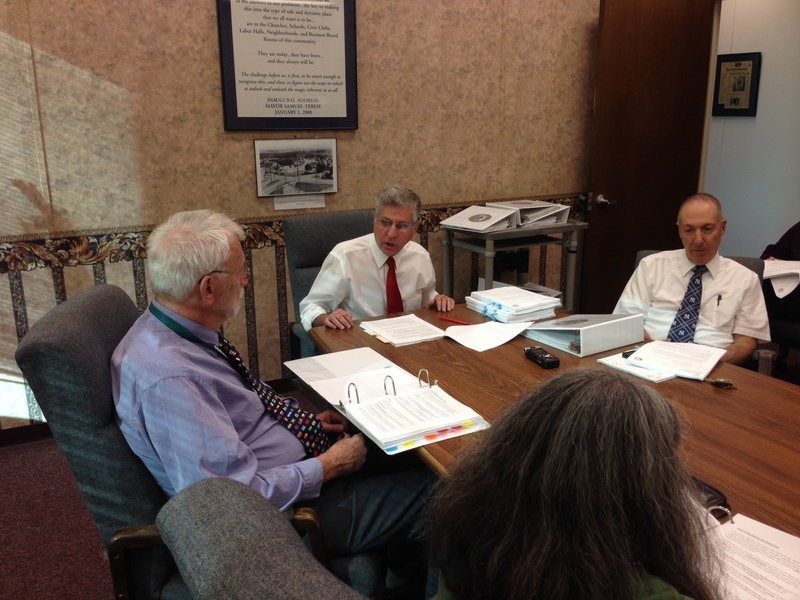 Jamestown Mayor Sam Teresi (center) presents his 2018 executive budget on Tuesday, Oct. 10, 2017. 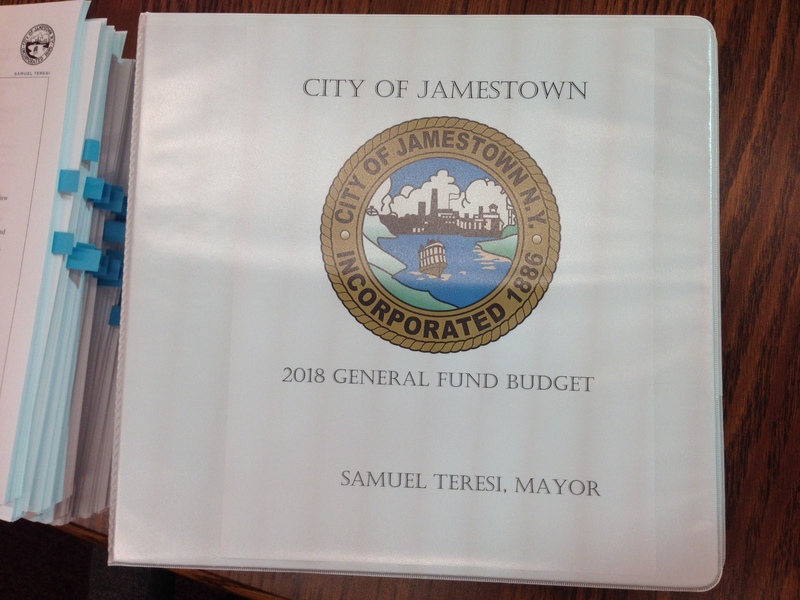 JAMESTOWN – Jamestown Mayor Sam Teresi presented his 2018 executive budget on Tuesday afternoon. As expected, the draft budget focuses on major fiscal challenges that continue to plague the city. The $35.7 million spending plan includes a budget deficit of $947,000, along with a 0.88 percent property tax increase. That would bring the tax rate to $23.98 per thousand assessed value, the constitutional taxing limit for the city. Teresi said that once again, many of the financial challenges facing the city are due in large part to state mandates that are either underfunded or provide no funding, which include mandatory staffing levels, pension contributions, and healthcare benefits, along with stagnate financial assistance that’s remained at the same level for much of the past decade. But despite the challenges the state has imposed on the city’s general fund budget, Teresi said it has also stepped forward to help in other ways. The mayor added that just there’s also a possibility the state will continue to come forward to offer financial help to the city. A key highlight of the budget is another cut to funding for the James Prendergast Library. Under the mayor’s proposal, funding would be cut in half to just $50,000 for 2018. That’s just 14 percent of the funding the city had provided for the library in 2015. The budget now goes before the Jamestown Council for its consideration. Council president Greg Rabb said it will be challenge to work on the spending plan and finalize it before the Dec 1 deadline. Budget deliberations for the city council will begin next Monday night, Oct. 16 at 6:30 p.m. in the mayor’s conference room, fourth floor of city hall. At that time the council will review and discuss the budgets for the Department of Public Works and Parks Department. That meeting is open to the public. A line-by-line copy of the budget can be found in the Mayor’s office of city hall, along with the city clerk’s office as well as the James Prendergast Library.